As part of its financial transformation initiative, leading US insurer has chosen TAI CONNECTOR as the primary system integration tool for managing reinsurance data transfer. As part of our financial transformation initiative, we needed a way to consistently and autonomously integrate data from our reinsurance business with our central ledger. TAI (Tindall Associates, Inc.) the U.S. market leader in life reinsurance software solutions welcomes one of America’s largest life insurer as premier client of TAI CONNECTOR for secure extraction and transmission of reinsurance data as part of its financial transformation initiative. 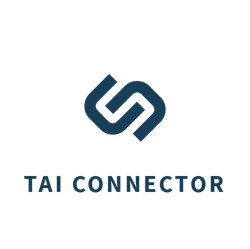 TAI CONNECTOR, one of two new software solutions launched in 2016 by TAI, is an intuitive, self-service data movement utility that enables individuals to fully utilize and unlock the value of their reinsurance programs within the TAI Reinsurance System. Minimal expertise in SQL or understanding complex table structures are required, allowing users to query the data, create custom extracts and securely transfer data to external parties and feed internal peripheral insurance systems without the reliance on traditional IT support. A fully automated systems integration between TAI and its SAP landscape. A fully auditable environment, with traceability and source system identification, allowing insurer to validate assumptions and improve data quality, a key to reinsurance data transformation. “TAI has been a strong business partner for over 30 years. As part of our financial transformation initiative, we needed a way to consistently and autonomously integrate data from our reinsurance business with our central ledger. TAI’s strong background in reinsurance and software made our decision to go with TAI CONNECTOR an easy one,” states Corporate VP, Reinsurance Administration. To learn more about TAI’s suite of Reinsurance Administration Software product, visit /http://www.taire.com/reinsurance-software-solutions. Based outside Chicago, TAI offers a complete suite of software solutions for life insurance companies to self-report all their reinsurance information; assumed, ceded or retroceded, in an electronic format to share with trading partners on a cost-effective basis. With over 30 years of experience, TAI has over 100 active licenses representing 96% of market share of the top 50 ceding insurers in North America by premium volume. To learn more about TAI, visit http://www.taire.com. TAI is jointly owned by LOGiQ³ Group and msg global solutions.